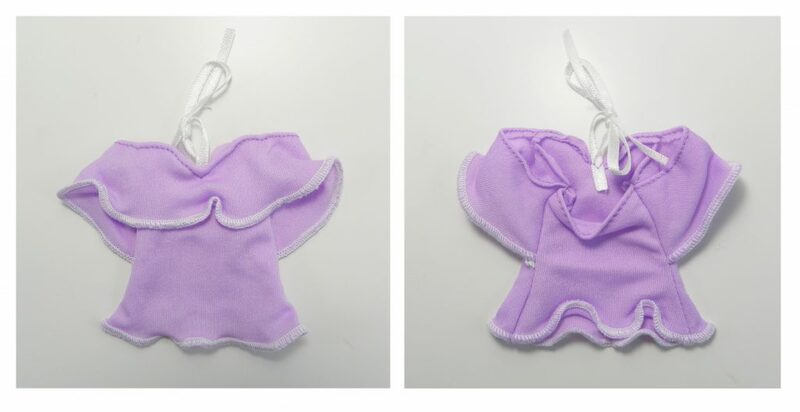 This Pack consists of a lilac top, blue skirt, white shoes and white Clutch bag. 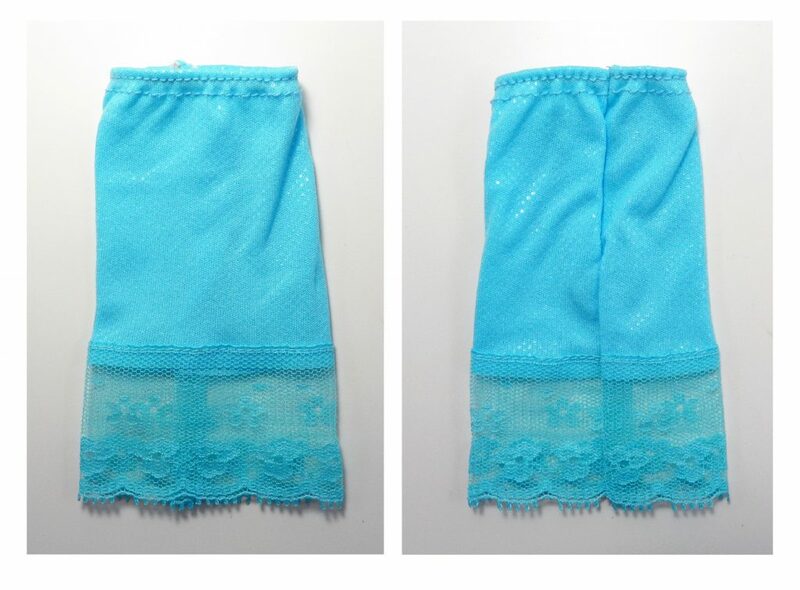 Both Top and skirt slip on without openings or velcro. 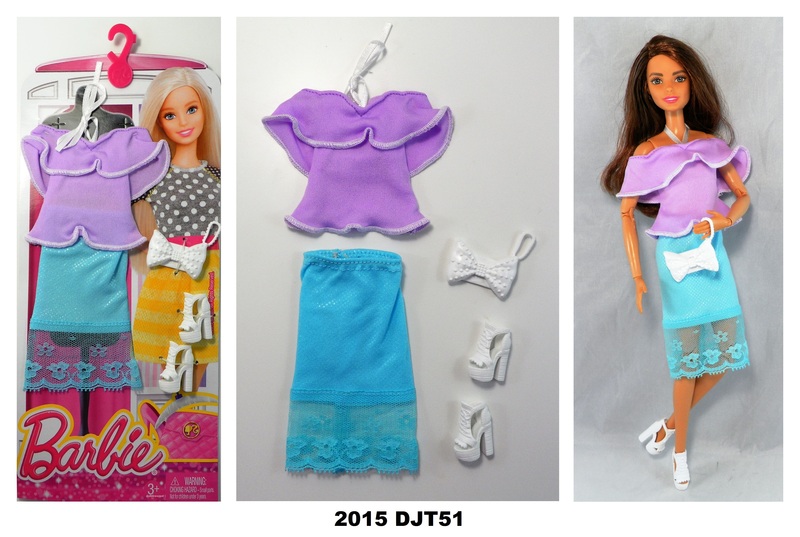 2015 DJT51 The top has a halterneck ribbon tie. 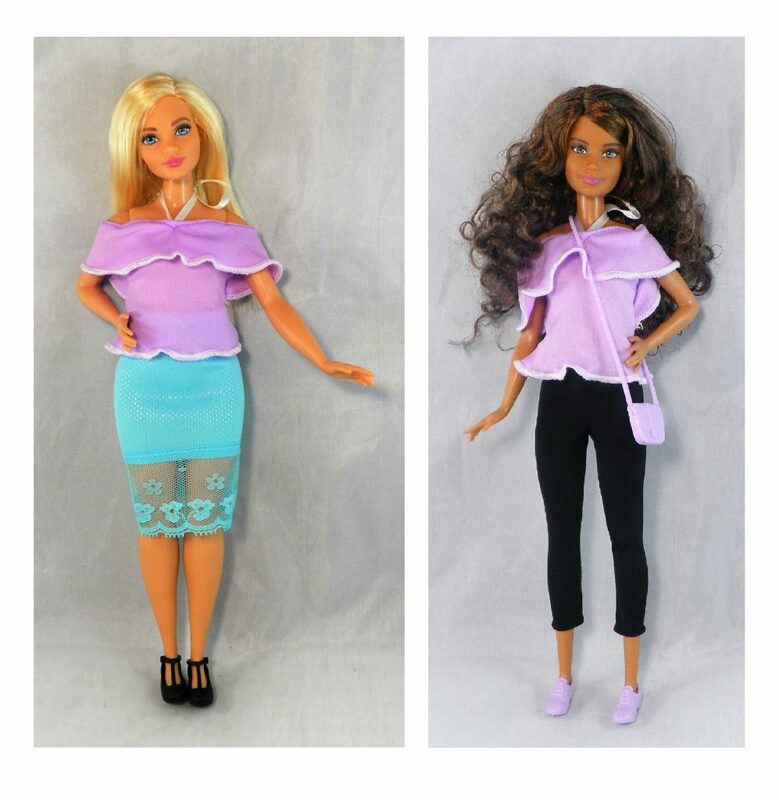 Its easy slip on styling enables it to be worn by other body types such as Curvy Barbie (left) and Petite (right), seen here wearing the top. 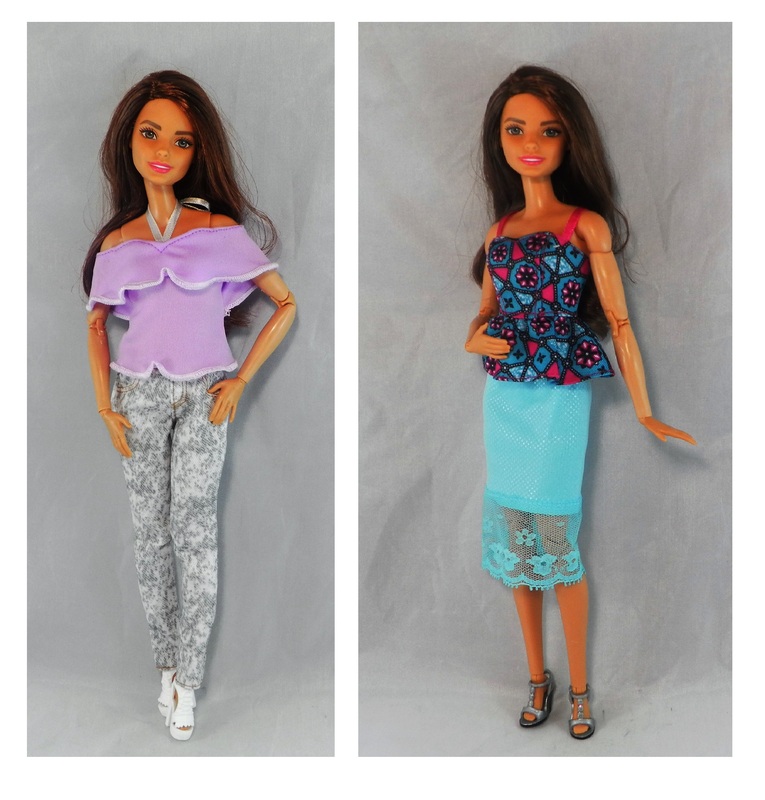 It will also fit Tall Barbie.